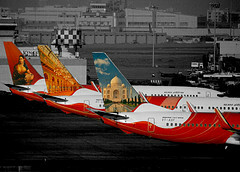 Airliners-India :: View topic - Costs of subsidised flying schools/clubs ? Posted: Sun Feb 26, 2017 3:21 pm Post subject: Costs of subsidised flying schools/clubs ? Why so ? And what then is the purpose/meaning of the subsidised schools list ? And in this http://dgca.nic.in/licencing/fly-ind.htm(2016 approved flying schools), Amritsar isn’t even listed. thanks for the info. Its helpful. Posted: Tue Jan 23, 2018 8:25 pm Post subject: Re: Costs of subsidised flying schools/clubs ? Is Swati still being made. This project was started by BHEL, but dumped after crash of test flight of VT-STB or C. Who is manufacturing them these days?